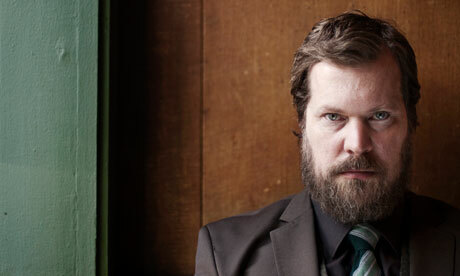 John Grant has been gracing the covers of international magazines aimed at upscale gay men during the last several months. Long a player on the alternative music scene as a member of The Czars, he has been in the midst of a personal and musical revival for the last six years. Now, at age 48, it seems like we’re really getting to know him for the first time. Grant is nothing if not a lumbersexual—in the gay world, a bear. The video for his spring indie hit, the surprisingly groovy “Disappointing,” takes place in a bathhouse in London full of beefy, hirsute men in all stages of undress. Like all bear culture, it celebrates gay men who don’t meet the gym-toned stereotype. Grant’s story is unfortunately typical of gay men in America. He has experienced social alienation and personal self-loathing about his sexuality, made worse by his religious upbringing. (In interviews, he mentions having been raised Methodist, and being a Baptist during his adult life.) Low self-esteem led him into cycles of depression and negative compensating behaviors of promiscuity and drug use. If you’re lucky you might skip this phase of coming out. Or you might “crash out” of the closet briefly, but avoid long-term consequences. If you’re unlucky like Grant and so many other gay men, this phase may leave you with a lifetime of fighting addiction and HIV. Grant deals with the negatives of internalized homophobia in terms many gay men can understand. But his music and lyrics are relevant to anyone open to understanding how suffering can lead to insight and spiritual rebirth. His latest album, “Grey Tickles, Black Pressure,” bookends an intro and outro based on I Corinthians 13, the Apostle Paul’s hymn to love, done in spoken word, in various accents and languages. This seems to be posited as an ideal of love. The glib depression and cynicism that follows in the album seems to reflect the reality and difficulty of loving—whether oneself or someone else. You must learn to let go. I also find it difficult to “let go” or “empty myself” spiritually, and have had to seek more active forms of meditation like walking or reading spiritual literature. I’ve often said I don’t believe in guided meditation, I believe in guided medication. The track “GMF” is a winking look at the kind of lying self-promotion and delusion we often have to go through when trying to land a man/woman/person/significant other. That you’re ever gonna meet. “Down Here,” spells itself out less ironic terms: “What we got down here is oceans of longing.” Although this would seem to be a song about unrequited love, check out the video, in which an adolescent boy desperately wants to become a synchronized swimmer. It must also be noted this song has probably the baddest bass clarinet solo in the history of rock. Grant is a talented keyboardist and sings in a plaintive baritone. He freely mixes acoustic piano and guitar with electronics. Much of his first album, “Queen of Denmark” (still only available on CD), favors lush arrangements that bring to mind bleary 70s pop. His second album, “Pale Green Ghosts,” mixes the electronic/acoustic aesthetic with more brass and percussion. 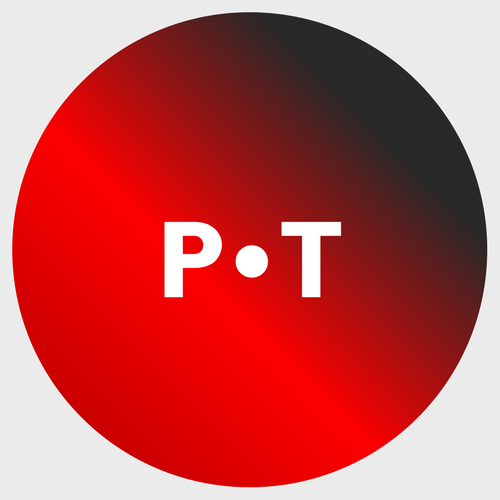 The latest, “Grey Tickles, Black Pressure,” sometimes has a strong techno edge, which brings out the strength of his lyric writing, but sacrifices some of his talent for melody. It’s a beautiful expression of what some mystics have called the via negativa – the way of embracing darkness. The idea is that pain, loss, sadness are feelings that can be embraced and lived into, but always with the intention of replenishing the spirit and leading to new creativity and new life. This descent into darkness and ascent into the light is at the heart of the Christian story of death and resurrection. As if to demonstrate his ultimate triumph, the song ends with an extended instrumental section. 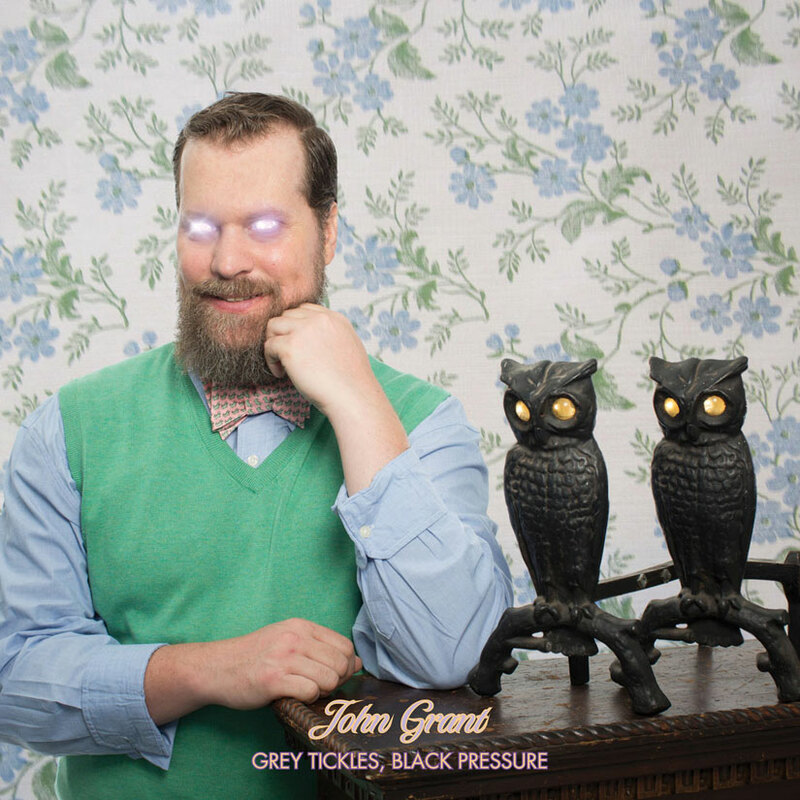 Grant shows off his virtuosity on piano, with crashing chords and rivulets of scales that seem to embody the showering, dripping wet forces of nature invoked in the song. The effect is even stronger in a live recording he made with the BBC Orchestra. I don’t mean to make Grant sound gloomy, because he’s not that way at all. He mixes humor and struggle, the carnal and the spiritual, shallowness and depth—often within the same song. You have to listen to each song a few times to get the whole package. His music holds up to, and rewards, repeat listening. “Down Here” lends an unexpected take on the idea of unrequited desire.